I love, love, love citrus fruit! And since we are in the peak season of citrus, now is the best time to have those amazing oranges, grapefruits, lemons and limes! 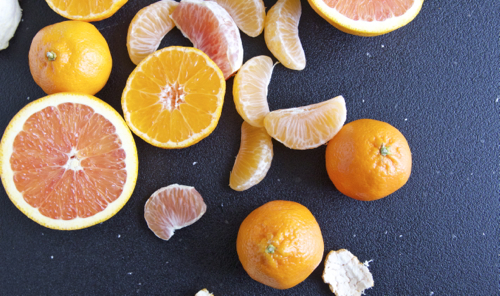 There is such a variety of citrus that not many of us know about! NOT EVERY ORANGE IS THE SAME! When I was growing up as a child, all I knew was there was an apple and there was an orange. Nothing else besides that. I had no idea about the different sub-families within the apple and orange family. For the apple family, there is Granny Smith, Fuji, Honeycrisp, Macintosh, etc. But that’s a different post 🙂 Lets talk about Oranges! And my favorite purveyor of oranges, Melissa’s Produce! So many varieties of citrus and each one has a specific, unique taste. Not too long ago, I was introduced to what is now my most favorite citrus that I look forward to each season, the Cara Cara Orange. Not only is the name beautiful but the fruit itself is so pretty too! It looks like an orange on the outside but its nice and pink on the inside! A cross between an orange, strawberries and grapefruit. It is delicious! Another one of my ultimate fav’s is the Blood Orange! With a deep red color on the inside, it looks like a tie-dye of red, orange and yellow. So pretty and yet so mouth-watering! You can find these oranges at your local grocery store. 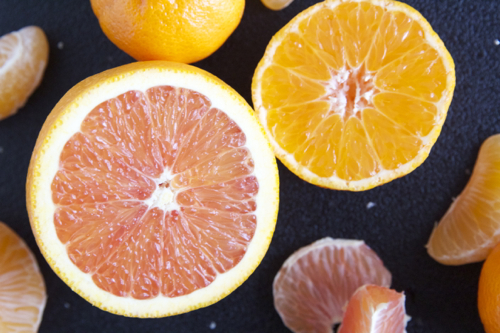 Some benefits you might want to consider from these delicious fruits is that oranges are packed with Vitamin C and A which is amazing for your skin! If you are prone to acne and are struggling with it, eat an orange a day! According to LivingStrong.com, Vitamin A is used in acne treatments and Vitamin C helps reduce skin swelling which can benefit in reducing your appearance of pimples. Also, Vitamin C increases skin hydration and can reduce wrinkles. Just something to think about when you are about to grab a bag of chips when there’s an orange sitting next to it!